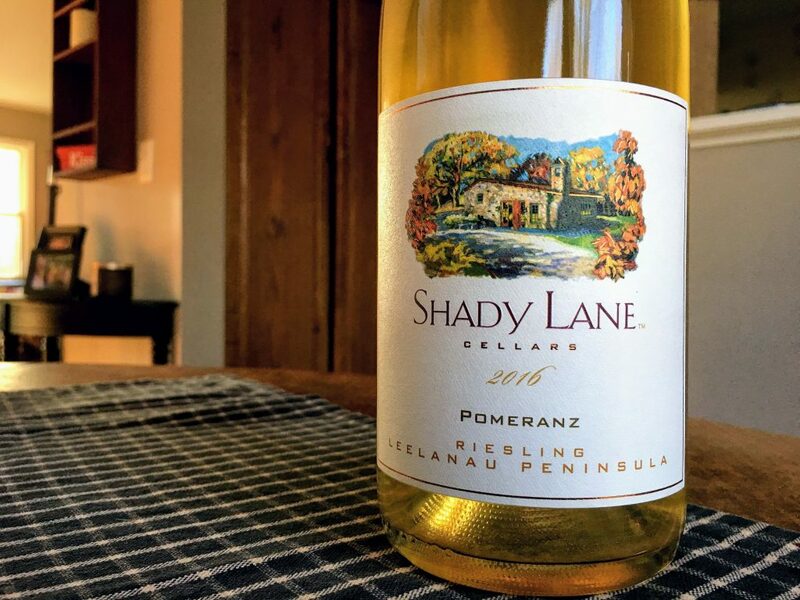 Earthy and tea-tinged, this "orange" riesling is a bit lacking in the fruit aroma and flavor department, but it's a fascinating expression of Michigan riesling. There is a minty-herby edge to the autumnal nose dominated by leaves, dried apricot, dried pineapple, orange peel, and Earl Grey tea. It's even earthier on the palate where tea and dried fall leaves are front and center with notes of golden raisin, dried flowers and nutty lees. It's broad and balanced, bone dry and textural with tannins that are noticeable but not hard, which I've found can happen when combined with riesling's noted acidity. A bit more fruit would have really elevated this wine, but it's still a wine to ponder and appreciate on an intellectual level. Make sure you don't over-chill.